Remote Central Locking, CD Player, Electric Windows, 'PARROT' Handsfree Kit, 6 - Speed, Tow Pack, Racking Removable, Dual Passenger Seat, Bulkhead, Ply-Lined, Side Load Door, Rear Step, Rear Work-Shop, All vehicles serviced & Mot''d, sold with a nationwide 6 Month Warranty. Nationwide delivery & low rate finance available. 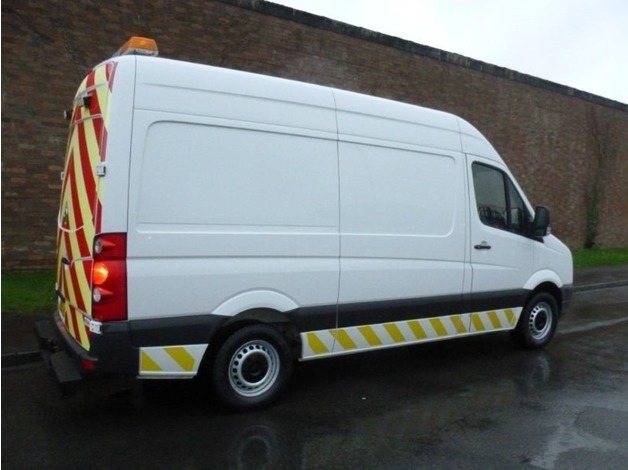 Also available : Citroen Nemo, Berlingo, Dispatch & Relay Fiat Fiorino, Scudo & Ducato Ford Fiesta, Connect, Transit Vans, Tippers, Crew-cabs, Lutons etc. Mercedes Vito 109, 111, 113 CDi, Sprinter 311, 313 CDi Nissan Kubistar, NV200, Primastar, Interstar & Cabstar Toyota Dyna & Hiace Vauxhall Corsa, Astra, Combo, Vivaro & Movano VW Caddy, Transporter (T4 & T5), LT & Crafter.. Volkswagen. Crafter. Cr35 Blue TDi Hr 136 Van. Diesel. Panel Van. 2.5cc. Manual. White.